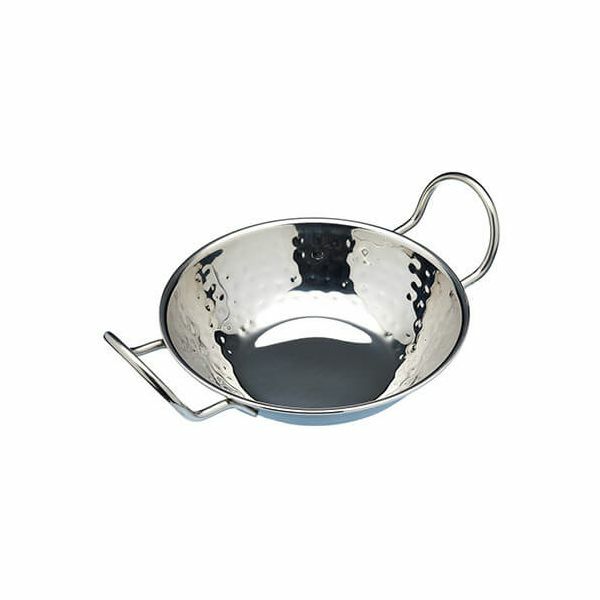 This World of Flavours balti dish is make from hammered stainless steel and includes two large matching helper handles. Ideal for serving hot dishes like colourful curries, delicious rice and indian dishes as the stainless steel design will keep them hotter for longer. The stainless steel balti dish is rust resistant, odours and discolouration and comes with a 12 month guarantee.